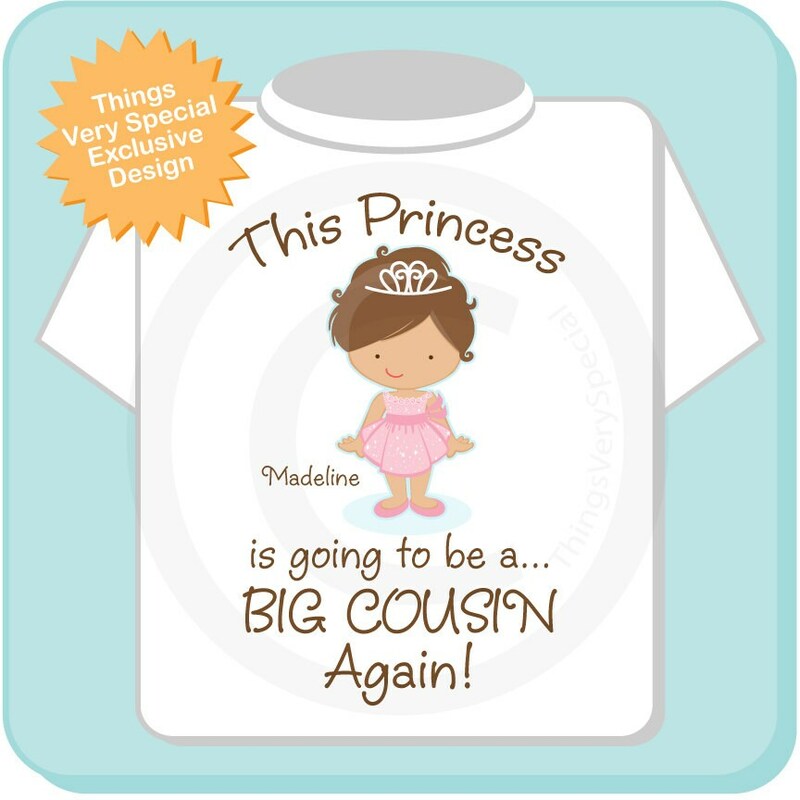 If your little niece is a brown haired princess and is about to become a Big Cousin Again!, this cute little Princess tee is perfect for her. I also have this available in other hair colors. 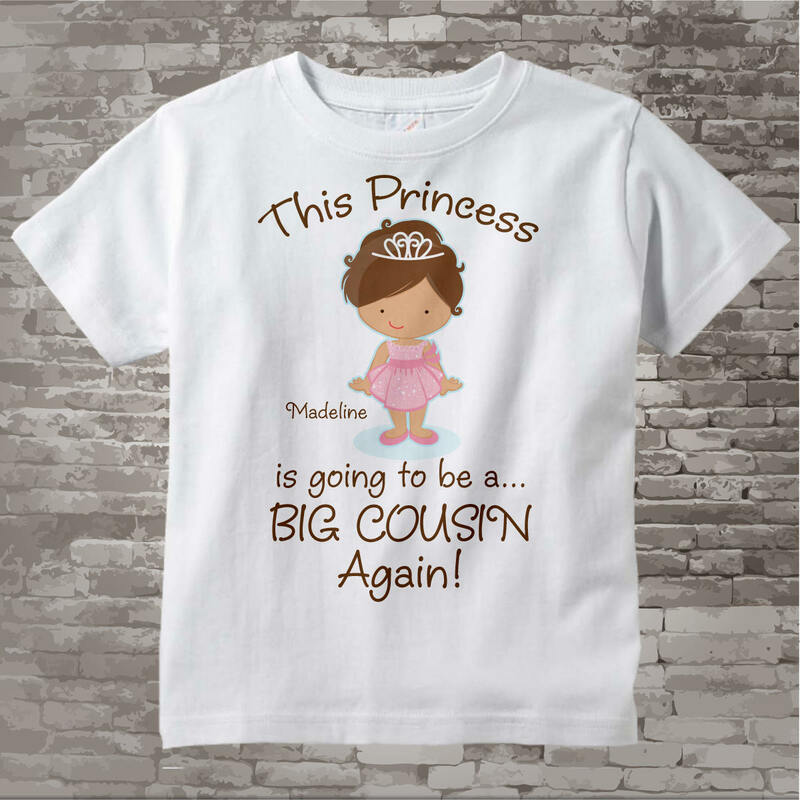 Such a perfect way to announce to our family that we have our own bundle of joy on the way!